Most aliens who visit Earth are dwarfs who stand less than 4 feet tall! So says physicist David Webb. 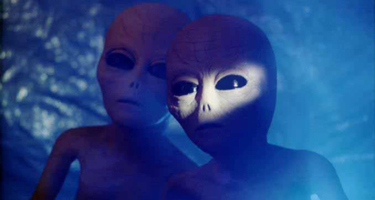 Dr. Webb analyzed nearly 2,000 close encounters and found that aliens fall into three classes. The second group is comprised of human-like beings from 5 to 6 feet tall, said Dr. Webb. In the final category are the giants that appear to be at least 7 feet tall, he said. “All of these classes of aliens tend to wear one-piece coveralls or jumpsuits that are tight-fitting all the way down to the hands,” continued Dr. Webb. “Not too many carry weapons but generally these extraterrestrials tend to control the situation. 26 percent involved aliens seen entering or leaving a UFO. 17 percent involved aliens observed in a UFO. 17 percent involved an alien near a spacecraft. 16 percent involved seeing an alien but not a UFO. 10 percent involved witnesses who were actually taken aboard a UFO. 7 percent involved an alien seen in the area where UFO sightings have previously occurred. 2 percent involved communication with the alien. The remaining 5 percent don’t fit into any categories.